Singapore's Changi Airport has been crowned the world's best aviation hub for the seventh time in a row, while New Delhi's Indira Gandhi International (IGI) Airport featured at number 59, according to the Skytrax World Airport Awards. The list has been compiled by the UK-based Skytrax, a consultancy firm which runs an airline and airport review and ranking site, featuring 100 airports, CNN reported. The prestigious accolade was awarded at the Passenger Terminal Expo 2019 in London on Wednesday. The Skytrax World Airport Awards are voted for by customers in a global airport customer satisfaction survey. "To be voted the World's Best Airport for the seventh consecutive year is a truly fabulous achievement for Changi Airport, and this award continues to underline the airport's popularity with international air travellers," Edward Plaisted, CEO of Skytrax said. Singapore Changi Airport is known for its rooftop swimming pool, two 24-hour movie theaters and shopping spots. The award came ahead of the much awaited Jewel Changi terminal, in April which will feature the world's tallest indoor waterfall. The airport also nabbed the award for best airport hotel, thanks to its Crowne Plaza Changi Airport and its leisure facilitates also got recognised. At number two on the list is Tokyo International Airport (Haneda), up one place from 2018. This hub also won World's Best Domestic Airport and World's Cleanest Airport. Breaching the top three is Incheon International Airport, down one place from its second-place spot in 2018. Incheon remains a stalwart of the airport rankings, also nabbing an award for World's Best Transit Airport. 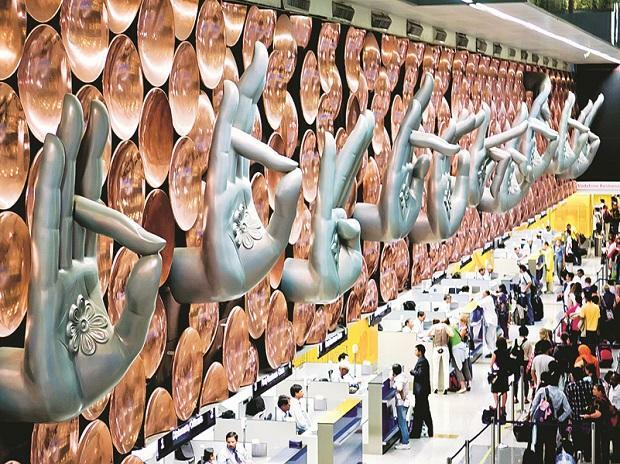 New Delhi's IGI Airport was eight points up this year after featuring at the 66th spot in 2018. The other Indian aiports in the list were Mumbai's Chhatrapati Shivaji Maharaj International Airport at 64, down one point from the previous year, the Rajiv Gandhi Hyderabad International Airport at 66, up 10 points and Bengaluru's Kempegowda International Airport at 69, down five points.